Safflower oil is like your new neighbor on the block. With time, you realize that they are multifaceted and talented, and you wonder why you couldn’t discover it sooner. With oil companies lobbying their way into funding studies and research to boost the sales of the oils they have put dibs on, some good ones go unnoticed. Safflower oil is a great replacement for your regular cooking oil because it is low in saturated fat and a lot of other good stuff. And guess what? It can also be traced back to the 1880s when Egyptians used it for skin care and other formulations. Yes, I told you it’s truly multifaceted. Let’s know about it and how the topical application can benefit our skin. Read on! Is Safflower Oil Good For Your Skin? Safflower oil is extracted from either the seeds or petals of the safflower plant, and it has great health benefits. It contains some of the most vital components our body needs for nourishment – like vitamins E and A and other essential fatty acids like omega-3s. There are enough studies to prove that we need all of these components for the healthy functioning of our bodies. From stimulating collagen production and skin cell renewal to protecting the skin from free radicals at a cellular level and improving its elasticity, it does a bunch of great stuff for our skin. Therefore, safflower oil is turning out to be an ingredient of interest for skin care and healthcare brands. Let us now look at the types of safflower oil. There are two types of safflower oils – one is polyunsaturated, and the other is monounsaturated. Each of them is used for different purposes, and both have great benefits (1). Polyunsaturated safflower oil is also called Linoleic Acid Safflower Oil because it contains 79% linoleic acid (2). It is used cold and is great for skin care. But you can also use this for making salads and other cold dishes that need oil in their preparation. Monounsaturated safflower oil is also called Oleic Acid Safflower Oil because it contains a higher amount of oleic acid. It has a higher smoking point, is edible, and is perfect for cooking (3). But it can also be used for topical application – to remove makeup or moisturize your skin. People are often confused between safflower oil and safflower essential oil. Are they the same? Or, are they different? Let’s find out. because it does not have a smell. essential oil, you need to mix this with carrier oils like sweet almond oil or grapeseed oil for topical application. Interesting. So, how do you use safflower oil for your skin? 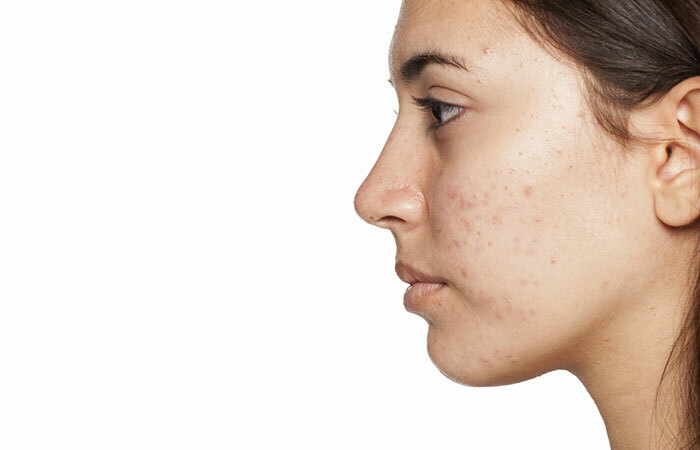 Topical application of oils on acne-prone skin might sound counterproductive, right? Yes, they can be – if you are choosing the wrong kind. But some oils (like safflower oil) are non-comedogenic, which means they do not clog pores and instead, clean them from deep within. 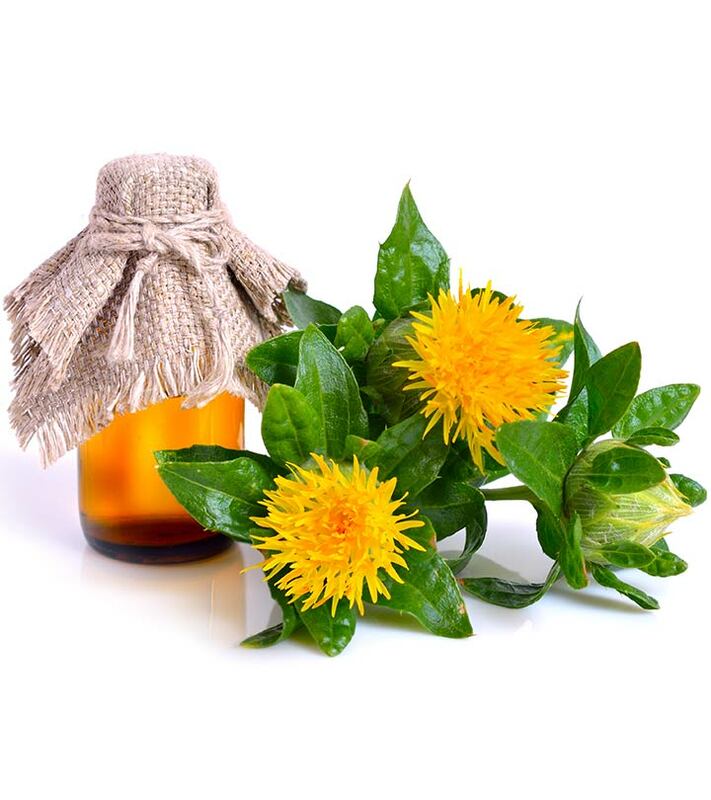 If combined with other natural abrasives, safflower oil can be used for making face masks that help treat acne, scars, and pigmentation and reduce redness because it has antioxidant and anti-inflammatory properties (1). Mix honey, oatmeal, and safflower oil. Apply the mixture all over your face and leave it on for about 15 minutes. Wet your face a little and start scrubbing gently to get rid of the mask. Clean your face with cold water and pat it dry. 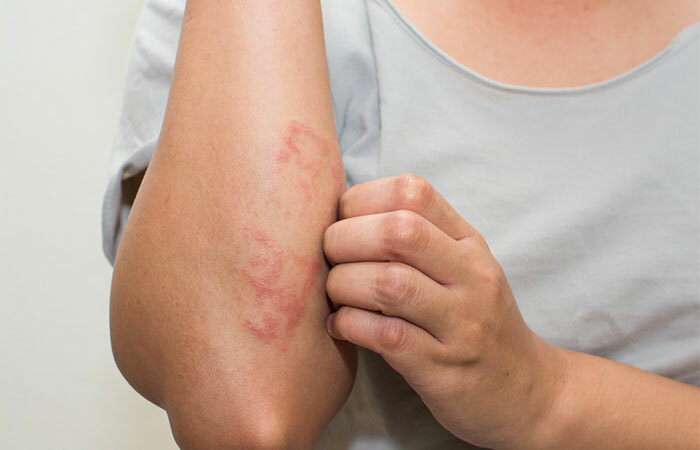 Eczema is a skin condition that is triggered usually from inflammation and results in extremely flaky skin. It needs specific lotions and medications, but you also need some home remedies to reduce the effects. Safflower oil is one such natural ingredient that can help you because it contains easily vitamins A and E that have antioxidant properties and help you fight inflammation (1). Apply a little safflower oil to the affected area once or twice a day and let it get absorbed completely. It softens your skin, reduces redness, and hydrates flakey skin. 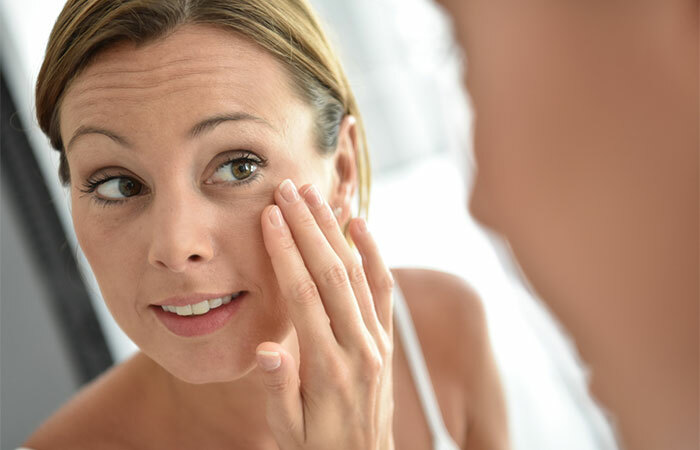 If you cannot apply in the morning, apply it before you go to bed and leave it on overnight. Safflower oil is known for improving the texture of your skin and facilitating skin cell renewal because of linoleic acid present in it. Using it on a daily basis improves your skin health and tone. Apply safflower oil to your face before you hit the bed every day and wash it off the next day. Use safflower oil instead of other oils in face masks. Mix it with essential oils like lavender or tea tree oils and use it as an alternative for a moisturizer whenever you can. 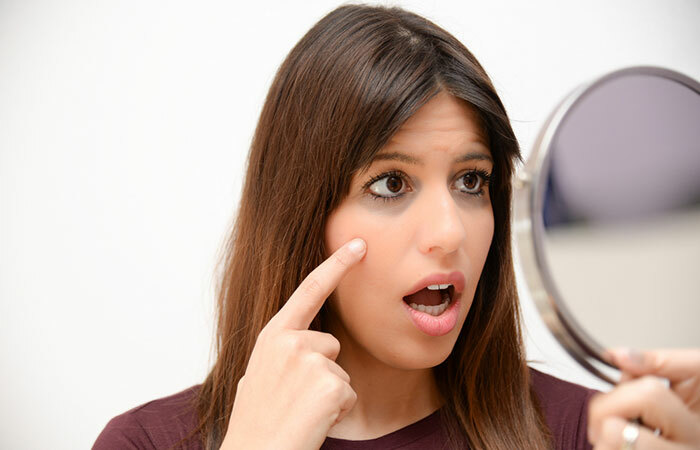 Sun exposure, hormonal fluctuations, and environmental damage manifest themselves very differently based on your skin type and other internal factors. Apart from using products that cater to your needs, you need ingredients that have innate healing properties and permeate into your skin’s deepest layers. Safflower oil does just that for you because it contains essential fatty acids that stimulate collagen and new skin cell production, lighten dark spots, and reduce dark circles, thereby making your skin glow over time (1). Gently apply a few drops of safflower oil around your eyes with your fingertips just before you sleep. It works as a great under-eye serum. Apply it all over your face and then follow it up with your nighttime routine to boost the skin lightening process. The non-greasy texture of safflower oil makes it an excellent skin moisturizing agent. It has very similar properties to a humectant that helps maintain your skin’s moisture balance and creates a barrier. 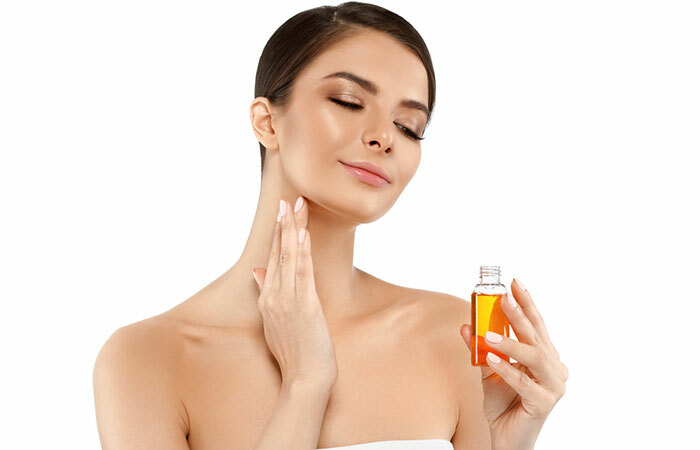 The linoleic acid in the oil controls excess oil production and keeps your oily skin in check (1). It is perfect for all skin types for this reason. If you are using an oil-based face mask, either replace the oil with safflower or add a few drops of it to the recipe. For everyday use, add about 15 drops of safflower to a bottle. Combine it with another carrier or essential oil or both. You can use sweet almond and grapeseed oils. Apply a small amount of the blend to your face twice a day. It protects your skin from the sun during the day and keeps it moisturized when left overnight. Can you apply safflower oil as often as you want? Does it have any side effects? Find out in the next section. 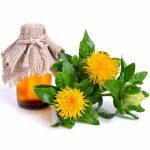 There’s no real evidence or studies that project the side effects of safflower oil either through topical application or ingestion. 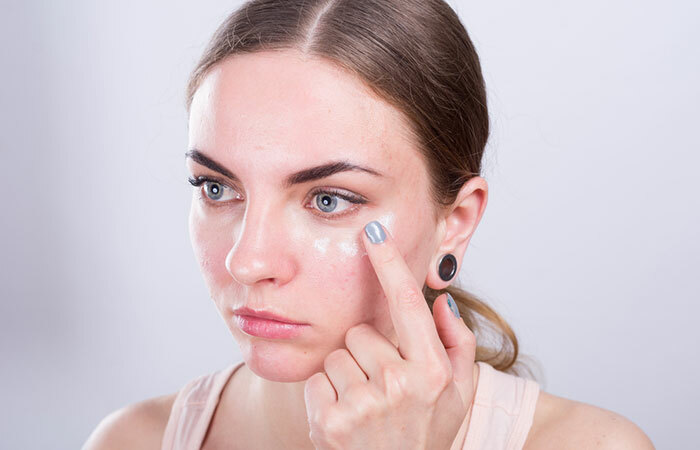 However, if you have sensitive skin, it is always better to do a patch test and observe how your skin reacts to safflower oil in the first 24-48 hours. You can use it if you do not develop any reaction. Have you heard of safflower oil yet? Are you considering to make the switch? If not, you really should. 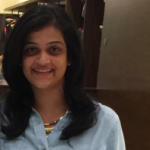 It is an all-rounder – whether it is for skin care or cooking. Let us know if you have any questions by posting a message in the comment section below. “Anti-inflammatory And Skin Barrier Repair Effects…” International Journal Of Molecular Sciences, US National Library Of Medicine. “Fatty Acids Composition of Vegetable Oils…” International Journal of Molecular Sciences, US National Library Of Medicine. “Facts about Fats and Oils” University of Florida.